It is that time of year again. Holiday songs, decorations, the multitude of scents in the air. For many it is a time to relax and spend time with loved ones, for others it is a time to network, work, or grasp that next opportunity. Hampton students are no stranger to taking advantage of the winter break. Whether it is taking classes, traveling abroad, or simply just enjoying the time to do nothing, winter break is the most anticipated break of the year. For those students wishing to take a productive advantage of this break, departments such as the International Office, Career Counseling and Planning Center, and Office of Student Activities offer great advice and opportunities. These departments greatly invest and support the university's students as well as continue to improve the prestigious image of the university and its students. 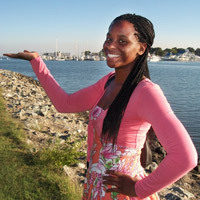 One student will be traveling to Africa over the break, through an opportunity coordinated by the International Office. LaShawndra Hooks, a junior sociology major from California, will be going to Cape Town, South Africa. Hooks will be conducting research on youth delinquency for the Mellon Mays Foundation at the University of Cape Townmy. "This is my first time studying abroad and I am very excited to be in such a blessed position," said Hooks. Hooks will be in South Africa for two weeks. If not studying abroad, one "should start looking for internships and co-ops online," said Vivian David, Director of the Career Counseling and Planning Center. David also suggests that students prepare for the upcoming semester by studying, pre-reading, outlining, and taking classes if possible. Students should also look up ways to receive money for school such as Googling internships and money for African-Americans. Sophomores and juniors should be looking for internships and co-ops and seniors should be looking for full-time jobs to take advantage of the winter break. "Take time to make time," said David. For HU online students wishing to take some classes over the winter break, a four-week mini session will be offered. It is also being offered to main campus and accelerated evening program students who have not taken the allowed six credit online credit hours. This fast-paced session offers courses ranging from 1-3 credit hours. For more information, visit http://huonline.hamptonu.edu/, or call (757)728-4829 for more information.